1. 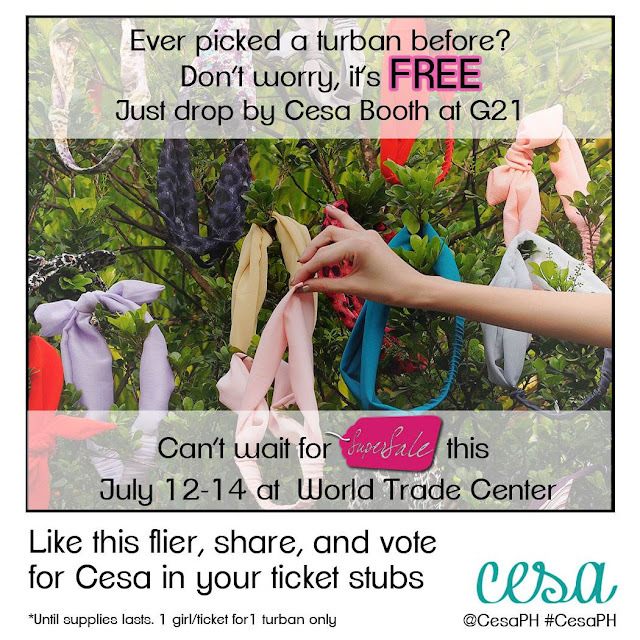 Vote CESA for People's Choice in your Super Sale Bazaar tickets. 2. Visit Cesa's booth in G21 at the Super Sale Bazaar (World Trade Center) from July 12 to July 14. 3. Show your ticket and your phone that you liked/followed Cesa in Facebook and Instagram. See, we have a ton of reasons to love Cesa! ♥ You definitely shouldn't miss this!